They say they want a temporary suspension while the crisis continues. Spain will being introducing border restrictions during the European Central Bank meeting in Barcelona at the start of May.Angela Merkel and Nicolás Sarkozy - The Interior Ministers of France and Germany have written a joint letter in which they call for the reform of, and ‘temporary suspension’ of the Schengen agreement which allows for the free movement between most member states of the EU. They say the change is necessary ‘to control the massive flow of immigrants’. The call comes just ahead of the 25th anniversary of the treaty this coming Monday, although many countries signed up in March 1995. France and Germany consider that a ‘temporary suspension’ is needed during the crisis, and Paris and Berlin speak of ‘provisional’ closure of frontiers, and only when a country in the Schengen space cannot control the flow of immigrants. They say they will give the details to their European partners at the next conference. Meanwhile Spain has announced the suspension of the Schengen Treaty and the re-establishing of frontier controls with France ahead of the European Central Bank meeting which is to be held in Barcelona on May 3. It has not yet been decided how long the border restriction will remain in place, but say it will allow the authorities to act if there is ‘a serious threat to public order or interior security’. 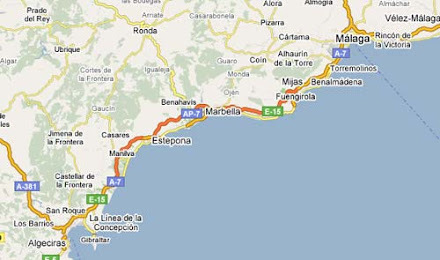 The measure will only affect the frontiers between Spain and France from the Basque Country to Cataluña. Reports indicate that it was the Catalan Government to step up the controls in the face of possible disturbances and the arrival of anti-system protestors from other countries in Europe.